Ashtar Command Book Blog : A Communist from the start? A Communist from the start? Marta Harnecker is a Chilean journalist residing in Cuba. Her book "Fidel Castro's Political Strategy: From Moncada to Victory" argues that Castro was a socialist, Communist or Marxist-Leninist from the start. The usual scenario is that Castro was originally a nationalist with some democratic leanings, and became a staunch Communist only after the revolution, under the pressure of events. Harnecker regards Castro's seemingly non-Communist stances as a clever political tactic (or "strategy", to use her term). She quotes Castro himself to prove her point. However, all these statements were made long after the Cuban revolution, when Castro (now the leader of the Communist Party of Cuba and allied with the Soviet Union) presumably had a vested interest in portraying himself as a Communist revolutionary from the start. Thus, the debate on this issue will probably continue. Still, Harnecker has one good argument. Castro's original political program, from his famous courtroom speech "History Will Absolve Me", while not explicitly socialist or Marxist, is nevertheless fairly radical. It calls for a thoroughgoing land reform, agrarian cooperatives, profit-sharing schemes in basic industry for the benefit of the workers, nationalizations of telecommunications and electricity, and state regulations of the banks. It also calls for a provisional revolutionary government, presumably made up by the rebels themselves. Later, Castro's July 26 Movement would drop most of these demands in favour of a democratic constituent assembly and broad unity with everyone (including "bourgeois" forces) against the hated dictator Batista. 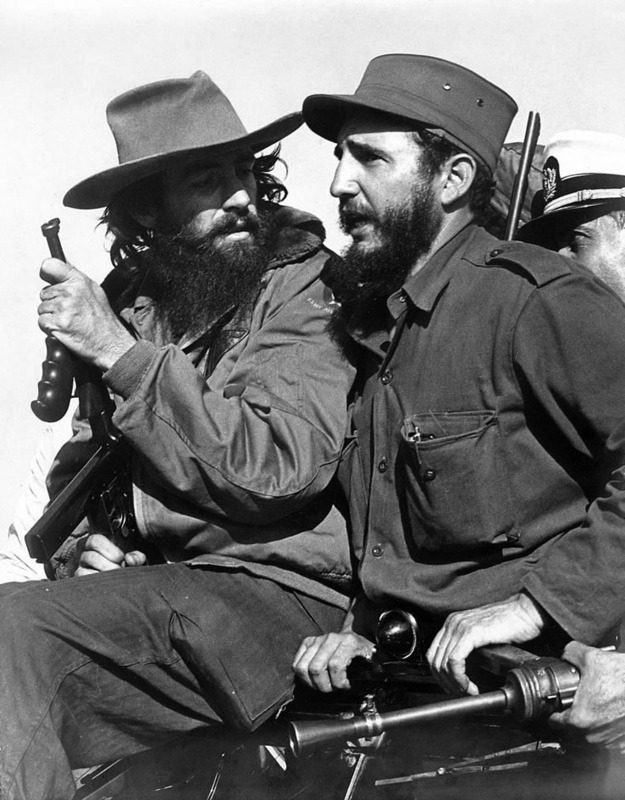 When the revolution had taken place and Castro's forces had consolidated their positions, Fidel dusted off the old program in the face of the U.S. blockade and turned Cuba socialist. Harnecker never uses the term "popular frontist", but I think it's obvious that Castro's strategy was popular frontist. This is interesting, since Harnecker's book is published by the U.S. Socialist Workers' Party, an ex-Trotskyist group which still claims to reject popular frontism. Harnecker calls for a broad anti-imperialist alliance even including the national bourgeoisie and progressive sectors of the armed forces! This is the first step in the revolutionary process. The second step comes when the Communists ditch the broad alliance (i.e. the popular front) in favour of outright "proletarian" rule. Historically, this two-phase strategy have worked when the Communists were in control of the army or security forces, but failed in all other instances. In Cuba, the Rebel Amy completely replaced Batista's armed forces on the eve of the revolution, making it possible for the July 26 Movement to gradually outmanoeuvre their "bourgeois" allies. That pro-Cuban Trotskyists or ex-Trotskyists chose not to call Castro's strategy "popular frontism" is, I think, mostly a matter of rhetoric. They reserve the term for broad alliances that *didn't* work... Such as the alliance between the old Cuban Communists and Batista in 1940, I suppose. Harnecker's book isn't the most interesting read around, but people studying Cuban or Latin American history might perhaps find it of some use. It also includes an English translation of Fidel Castro's speech "History Will Absolve Me".